John Gonzalez and Amy Sherman of MLive host the radio show "Behind the Mitten," which airs on the weekends on 9 radio stations throughout the state of Michigan. On this weekend's show, John and Amy stopped in Stevensville in Southwest Michigan while on their search for Michigan's Best Pizza. 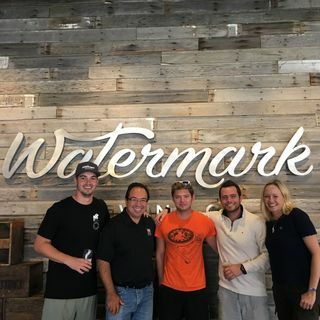 They visited the new Watermark Brewing Company, and they learned more about the area from a local non-profit organization. John and Amy recap Michigan's Best Pizza, and run down Statewide Events.